Great pool with beautiful garden. The rooms are basic but clean and cool. About 10 minute walk to the beach which was great for swimming with a great choice of restaurants. The hotel gives you the sensation of a very cozy place, a bit secluded, no noise at all. Close to the beach. Owner was very friendly. Location short walk from beach and restaurants. The pool area was lovely, so relaxing with all the beautiful flowers and colours. I would highly recommend! We loved our stayed here. Friendly hosts, beautiful gardens, very comfy and clean rooms and and only 10 mins from the beach which has got lots of lovely restaurants. We will definitely be back! Staff great, good location for the village centre. Basic cooking facilities but adequate for short stay. Our second visit, we would return in the future. Accueil sympathique. Appartement au calme, belle piscine, chambre spacieuse, wifi OK sur le balcon. Attention l'hôtel n'est pas au bon endroit sur google map. Lorsque vous êtes sur le parking , continuez sur la route et passez devant le Diskouroi apt et 50 mètres plus loin à droite vous verrez l'hôtel. Nous sommes restés une nuit de plus pour le prix renseigné par booking. Très bien situé pour le centre d'Agia Pelagia ou se trouvent les commerces et les restaurants. Petit chien bien accueilli gratuitement. Le patron comprend bien l'anglais et est vraiment sympathique : il est souvent disponible et a toujours le sourire ! Bon bref , je le recommande, c'est un bel endroit à Agia Pelagia et nous y retournerons bien volontiers. Удобное тихое место,дорога рядом,но движение редкое.Красиво оформлен фасад,красивые цветущие растения,приветливый хозяин и персонал. Хорошая и уютная территория при отеле. За стоимость проживания - очень хороший вариант! Уборка была раз в два дня. Убирались хорошо! Доброжелательный персонал. Также хорошо, что отель находится именно с этой стороны бухты, потому что к пляжу нужно идти в совсем небольшую горку в отличие от другой стороны бухты, там уже будет добраться к пляжу пешком не просто из-за крутых подъемов. Понравился этот вариант размещения! Приятная деревня, нормальные хозяева. Близко от моря. Много таверен рядом. 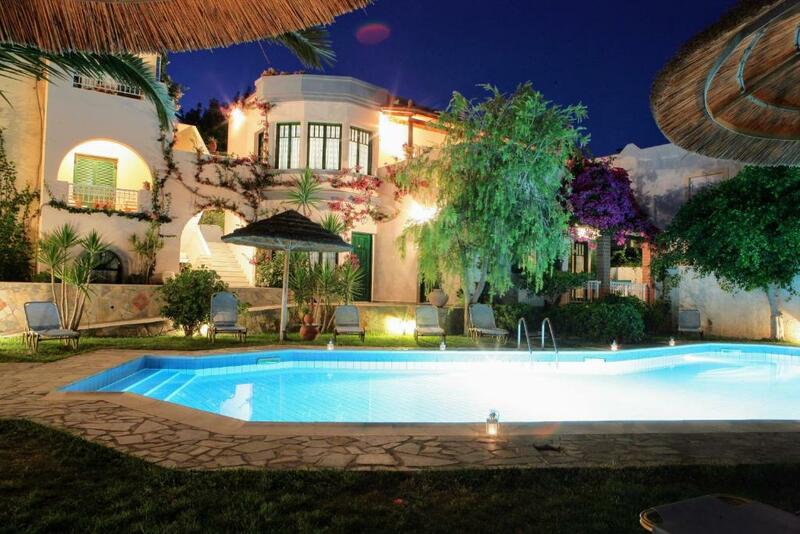 Lock in a great price for Aquarius Apartments – rated 8.2 by recent guests! Aquarius is on the picturesque bay of Agia Pelagia in the center of the northern coast of Crete, only 11 miles west of the capital city, Heraklion. 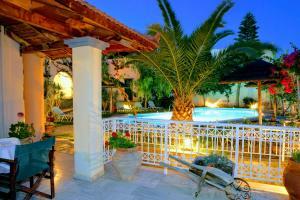 It is an ideal family resort, featuring 14 rooms surrounding the swimming pool, made out of local wood, stone and marble. 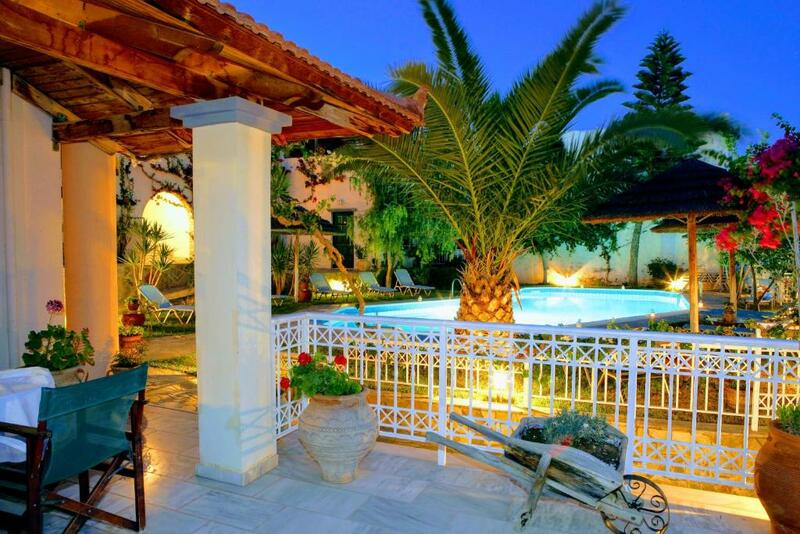 Most of the rooms overlook the swimming pool and the garden area. All rooms are spacious and fully equipped, each one providing bath, kitchenette, dining area, living room and separate bedroom (depending on the type of room). It is 1,000 feet from the beach. 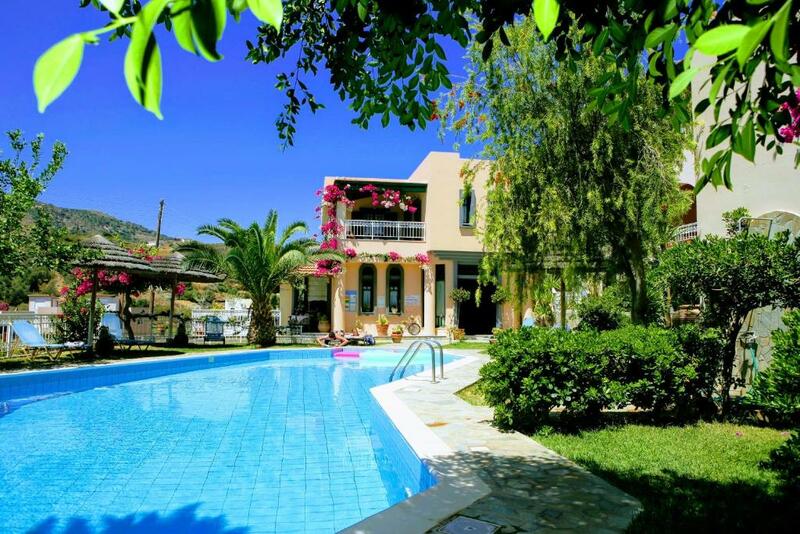 뀐 Located in the top-rated area in Agia Pelagia, this property has an excellent location score of 8.4! When would you like to stay at Aquarius Apartments? 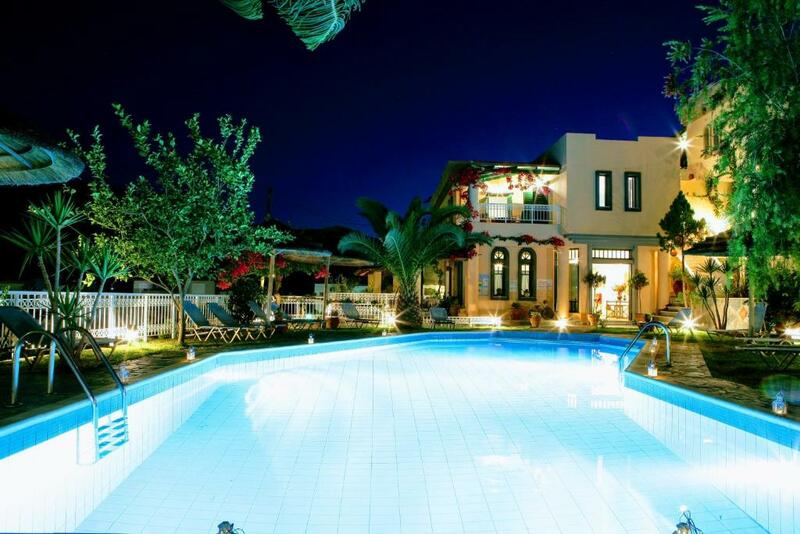 Features a fully-equipped kitchenette, dining room, living room, 2 single beds in the living room area and a balcony or terrace overlooking the pool or the mountain and the building. Please note that this room type can accommodate 1 extra baby cot or 1 extra sofa bed for a child (see Hotel Policies). Features a fully-equipped kitchenette, dining room, living room, separate bedroom and balcony or terrace overlooking the mountain and the building. The 3rd guest is accommodated in the living room area in a sofa bed. For your better service you are kindly asked to inform the hotel well in advance whether the room will be occupied by 2 adults and 1 child, or 3 adults. Please note that this room type can accommodate 1 extra baby cot. Features a fully-equipped kitchenette, dining room, living room, 2 single beds in the living room area and a balcony with views of the pool and panoramic village views. Please note that this room type can accommodate 1 extra baby cot. Features a fully-equipped kitchenette, dining room, living room, separate bedroom and balcony or terrace overlooking the pool and the garden. The 3rd and 4th guests are accommodated in the living room area in a sofa bed and a folding bed. Features a fully-equipped kitchenette, dining room, living room, separate bedroom and large balcony overlooking the pool and the garden. The 3rd and 4th guests are accommodated either in the bedroom or in the living room area in two sofa beds. I am Liana Tzorbatzaki and I am the owner of Aquarius hotel. This establishment is like another child of mine. I have been working in it ever since I was 18 years old and we ve grown together through the passing of all these years.In every corner I set my eyes to , I see pictures of me, of guests, of my family, moments I ve shared. At our veranda I see the first steps my son made.At one of the apartments I see the long hours and the hard work I gave to decorate it and paint it. People of our neighbourhood are genuine Cretan people that agriculture their land in order to live. In every corner you pass by, one sees plantation ,vegetables ,fruit trees and various other goods that farmers grow seasonaly .The atmosphere is clear and peacefull , the combination of high mountains and clean sea waters make a breathtaking contrast , there are endless little paths for those who like to walk and you never feel alone or frightened..
House Rules Aquarius Apartments takes special requests – add in the next step! Aquarius Apartments accepts these cards and reserves the right to temporarily hold an amount prior to arrival. Please note that the front desk is open until 6 pm. Guests arriving later than this are requested to contact the hotel in advance and inform them about their time of arrival. Contact information can be found in the booking confirmation. Beds were very hard and uncomfortable. Would have been nice and helpful to see a breakfast and lunch menu. I was a bit afraid of the lizzards crawling on the roof of the hotel, but I guess that is not the hotel’s fault. Also, the room we had, had a very small window for how big the room was. There was no hair dryer or iron so pack your travel ones! Beautiful hotel in a great location! At the reception you will be greeted by a beautiful pleasant woman Liana and everything else will be the same. The rooms are clean and comfortable. Cleaning is done regularly and responsibly. All our requests and issues were resolved immediately. There is a swimming pool on site, decorated with flowers and trees. Due to the good location and the presence of trees in the pool there is both sun and shade, which is necessary for hot afternoon hours. Most of the rooms have a nice view. The hotel is located a five minute walk from the beach in a straight line. This is a very big plus, as the entire coast is strewn with cafes and restaurants, and the persistent smell of food from morning to late evening, as well as the sounds of music will not relax those who live on the shore. The hotel can eat, but you can prepare your own, in the kitchenette in the apartment has a minimum of everything you need. On the coast there are paid sunbeds under an umbrella for 20 euros per day. Or you can sit for free on the sand on the Central beach. We stayed in the hotel for 14 days and it was a real holiday! Don't forget to take washing up basics as they don't provide cloths & washing up liquid. Research trips etc before you go as the owner, although friendly does not speak English. These are only minor points as the hotel was exactly as described.